including our bio-electric fields, heart and personality fields. 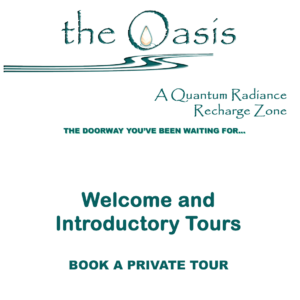 QUANTUM RADIANCE addresses these in a holistic, multi-layered approach that results in an increased capacity for joy and radiant wellbeing. Quantum Radiance is a project pioneered by Dr Janeshree Govindasamy, offering a shift in paradigm that brings the quality of radiance back into the equation of health. The Becoming Radiant element offers dynamic consultations, customised personal programmes, workshops and retreats, for individuals and groups. 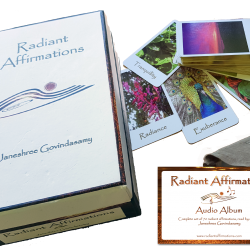 The Radiant Affirmations deck is a work of of art from the heart, for anyone practicing the skill of attuning to life's beauty. 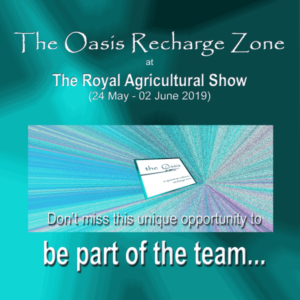 The Oasis is for those who are building more sustained, stable states of centredness, by stepping into the recharge zone for 10 minutes every day. The Nourishing Radiance element offers radiant medicinal food that celebrate and support a thriving physical state. The results are access to more profound health, healthier success, more successful relationships and more natural ease in all that is done.